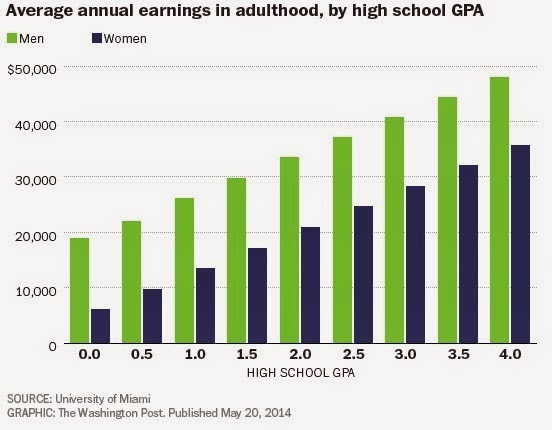 Do High School Grades Impact Earnings In Adulthood? A recent study showed that high school grades correlate directly to income in adulthood (seen in the chart below), something parents can now show their children in a simple graph. I would argue this has less to do with the material learned in high school or even the ability to take tests, and more to do with the type of person a higher GPA student is (meaning they are a hard worker).